As per the CBSE notification, the NEET exam will be held in the first week of May. 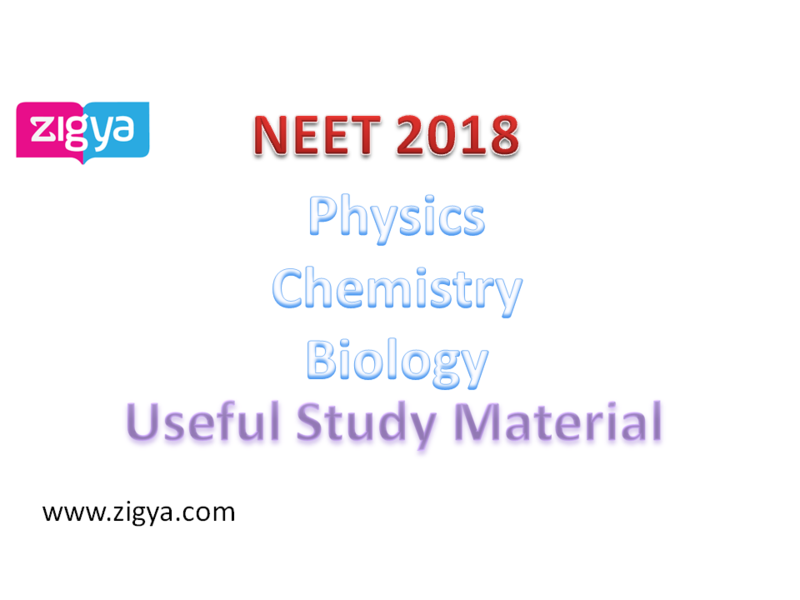 Students those are doing preparation of the NEET 2018 can get free online study material for Biology, Physics and Chemistry. Our purpose is to share the quality link to encourage the students to become an active learner. The more they use to apply the online study concepts, the better learners they will become. This will also help in their vision and understand the core concept of each and every subject topic. Study material is interactive and has a large number of related problems in each section to helps you to grasp concepts better as also to prepare you well. For Physics you need strong foundation on these chapters. By working through the materials, students can easily master relevant concepts and thereby approach their NEET 2018 exam with confidence and enthusiasm. Really very useful information which you have provided here . Thanks for sharing. Keep going on.